The photographs within this collection have been very kindly supplied by Rick Thatcher whose uncle served on HMS Ausonia during the Second World War. All photographs are copyrighted by Rick Thatcher unless otherwise stated. 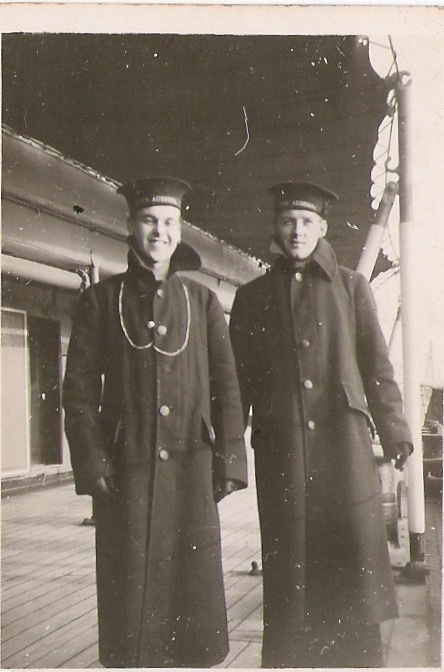 Eric Thatcher (on the right) seen here on the boat deck of HMS Ausonia. 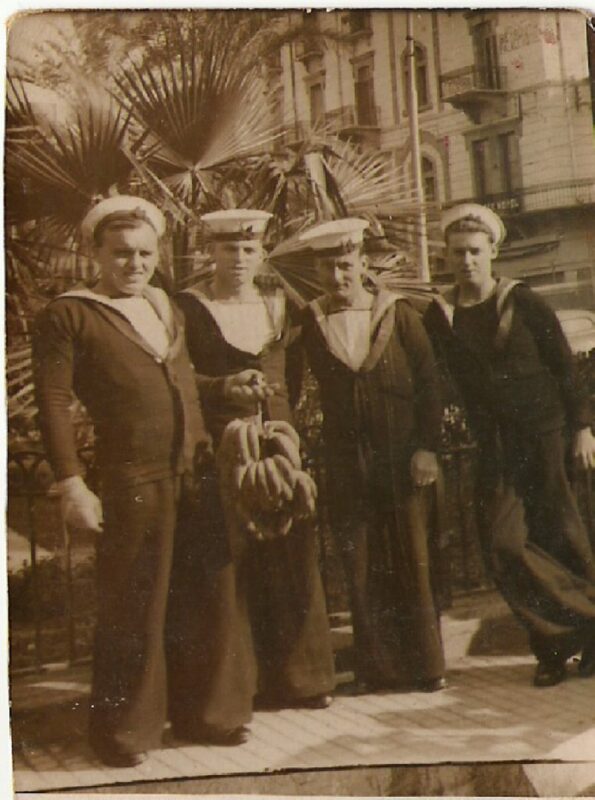 Eric with his ship mates outside what is believed to be the NAAFI building in Colombo.